Cooking Experience is born from the passion of Gianna, born and working in Lecce, his birthplace in the Salento region of Puglia She learned from her mother and her grandmother the art and culture of genuine hospitality and conviviality, which are expressed at better cooking and hosting! As time goes Gianna understood that his was not only a passion but a vocation: the pleasure of sharing the secrets of Salento cuisine now is a goal, a wish come true every day in every lesson, combined with the satisfaction of each participant living a unique experience in the discovery of the ancient flavors of the cuisine, with particular attention to the Mediterranean Diet. Lover of good food and good wine, adores the countryside and all its products, enthralling and passionate chefs who will transport you to an unforgettable experience, including laughter, fun, tradition and professional techniques into her kitchen. Honorary Sommelier of ‘”Association des Sommeliers Jura Franche-Comté” France where he took part in the day of the “Percée du Vin Jaune2010” Arbois 7 february 2010.
professional training courses at “Gambero Rosso”. Enter a contest theme: “One evening, suddenly” with Chef Massimiliano Mariola, during the opening day of the “Città del Gusto” at Città della Scienza of Naples. bread-making classes with famous Simini Sisters of Bologna. Oil Taster courses, drawn up by several recognized organizations. Since September 2011, she held teaching activities within the project “Cook for the recovery of the old culinary traditions of Salento”. In April 2012 he has been teaching activities within the project “Hot Spirits”, the Puglia Region Program for Youth Policies, as an expert on food and wine traditions of Salento. November 2012 she carries out teaching activities for Assiform Europe of Brindisi, accredited the Regione Puglia, has obtained funding for the course “Chef” (for the Recovery of the old traditions of culinary art of Brindisi). 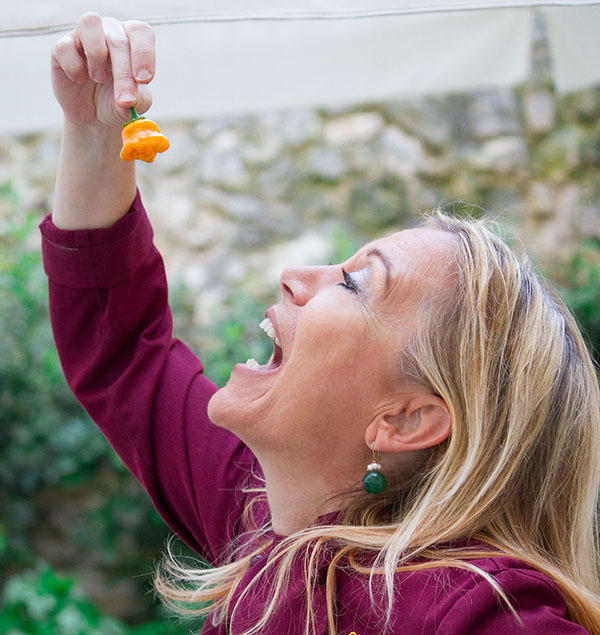 Since May 2016 she performs as a lecturer at the renowned city of taste “Gambero Rosso” of Lecce, courses to learn about and prepare typical pugliese and salentino’s dishes.